Karlos Paez on the Main Stage Saturday. An impromptu ballet folklorico performance by two female dancers, who came from the main stage over to the garden to surprise our DJ , their childhood dance partner, also brought the house down. 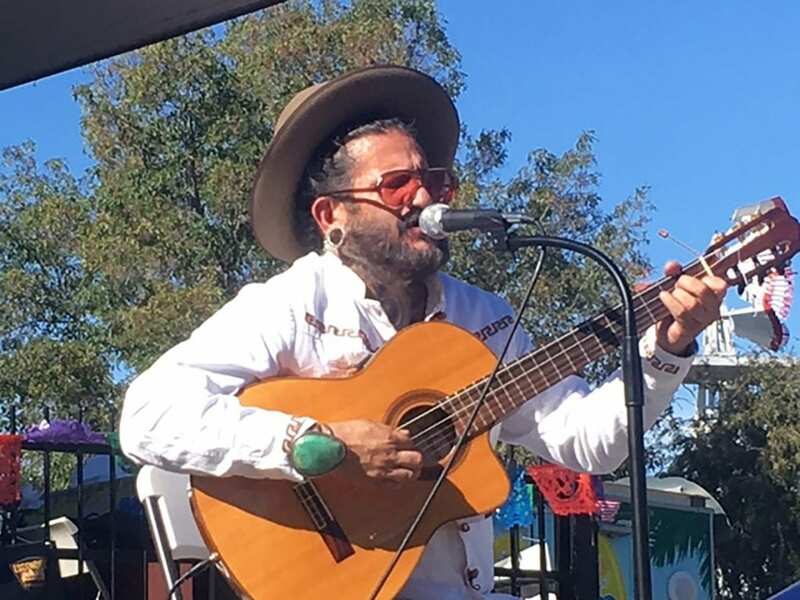 Local restaurateur Erik Monforte, from Cocina del Charro joined the festival for the first time determined to win the 2018 “La Suegra” Best Tamale Award. He set his sights on last year’s winner Coop’s BBQ of Lemon Grove and came up with a Certified Black Angus beef tamale topped with a poached egg and salsa that surpassed Coop’s smoked chicken tamale by just one point to take the title. Escondido is already a Tamale Festival.